J. N. Andrews was an intellectual who enjoyed "severe study" much more than physical activity. 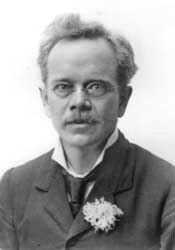 He was closely associated with James & Ellen White in the leadership and evangelistic work of the SDA Church. As a theologian, Andrews made great strides in the development of church doctrines. He applied the two-horned beast of Rev. 13 to the United States of America. Further, he was influential in creating the church’s bylaws and constitution. In 1855, after thorough investigation, Andrews adopted sunset Friday evening as the beginning of the Sabbath. This began a standard for the church. He also organized the church as a legal business association, allowing the church to obtain legal possession of property. During the Civil War, Andrews lobbied for non-combatant designation for SDA draftees. In 1860, he was involved in the organization of the denominational publishing house. The following year, he published his extensive research, History of the Sabbath & the First Day of the Week. This was a work reviewing the seventh-day Sabbath in history. Between 1869-70, he was the editor of the Review and Herald. In 1874, he became the first SDA missionary in Switzerland. He worked to gather the scattered Sabbath-keeping companies and organize them with a united message. While living in Basel, he contracted tuberculosis and died. He was 54. At age 15, Joseph Bates "shipped" on a commercial vessel. For the next twenty-one years he lived the life of a sailor and ship captain. He returned to civilian life in 1828 with a small fortune. During the Advent Awakening, the retired sea captain became a respected evangelist and spiritual leader among the Adventists. 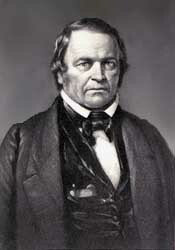 In early 1845, Bates was providentially led to an understanding of the truth concerning the seventh-day Sabbath, and in 1846 he published a 48-page tract on the subject. 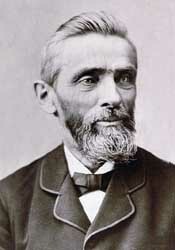 The respected Captain was the oldest member of our church pioneers, and he became the first Seventh-day Adventist local conference president (Michigan, 1861). He lived to the age of 80. One reason for his physical endurance, in spite of many sacrifices, was his simple diet and temperate habits. He organized of the first temperance societies in the United States. Bates was a spiritual man with clear-cut views and the courage of a lion. He did not hesitate to sacrifice when the need arose. Let us thank God for the venerable Captain -- apostle of the Sabbath truth. Sylvester Bliss was the ablest of the Millerite editors. He was first assistant editor, then editor, of the Millerite journal The Signs of the Times. He was a Congregationalist from Hartford, Conneticut, with a liberal education and was a member of the Historical Society of Boston. He was also an editor of the Advent Shield and later edited the Memoirs of Miller (1853). Among his works are Commentary on the Revelation, The Time of the End, and Analysis of Sacred Chronology. He remained until his death the editor of the Advent Herald (a later name of The Signs of the Times), which remained the organ of the group of ex-Millerites who did not accept the doctrine of conditional immortality. 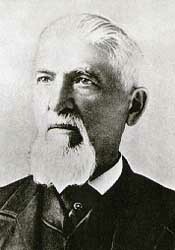 Daniel T. Bourdeau was an evangelist and missionary, and brother of A. C. Bourdeau. At 11 years of age he joined the Baptist Church and at 16, with his brother, attended a Baptist French-language institution at Grand Ligne, Lower Canada. In 1861 he married Marion E. Saxby. 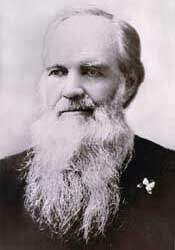 Ordained to the SDA ministry in 1858, he, with his brother, spent many years in evangelism in New England and Canada. As far as is known, the two brothers were the first of French descent to have accepted the SDA faith. In 1868, with J. N. Loughborough, he responded to a call from an SDA group in California, headed by M. G. Kellogg, to open SDA work in that State. When he returned to the East in 1870 he resumed work among the French-speaking people and organized churches in Wisconsin and Illinois (1873). In 1876 he went to Europe to spend a year of evangelistic work in Switzerland, France, and Italy, and associated with J. N. Andrews in editorial work. Again in 1882, with his brother, he took up evangelistic work in Europe, working in France, Switzerland, Corsica, Italy, and Alsace-Lorraine. Altogether he spent seven years overseas. On returning to America (1888), he continued as a minister and writer, working at first for French-speaking people, and then largely for the English. John Byington was born in Vermont, son of a Methodist preacher who had served as a soldier in the Revolutionary army. John was baptized into the Methodist church at age 17. He shortly was given a license to preach as a lay preacher. After moving to New York state, he helped build a house of worship for the Methodist Church around 1837 in Buck's Bridge. He became strongly involved in the antislavery movement, which eventually led to a schism in the Methodist church. John joined the new Wesleyan Methodist Church and helped to build its church building and parsonage in Morley. In 1844 he heard sermons on the soon coming of Christ, and began studying the prophecies. 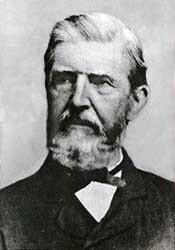 In 1852 H. W. Lawrence gave him a copy of the Review and Herald containing articles on the seventh-day Sabbath. He accepted the Sabbath truth before the year was out, and was baptized. He helped then to build the first Sabbath-keeping Adventist church built for that purpose. James & Ellen White invited the Byingtons to move to Battle Creek in 1858. John bought a farm nearby, and from there would travel to minister to the scattered believers. 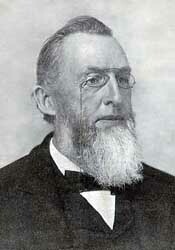 In 1863 at age 65 he accepted the first presidency of the newly organized Seventh-day Adventist church. He worked as a genuine shepherd and pastor during his term in office. 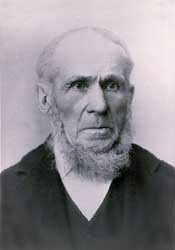 Then he returned to his farm, but continued his visitation of believers throughout Michigan for the next 22 years. "I must feed the lambs of the flock," he wrote. 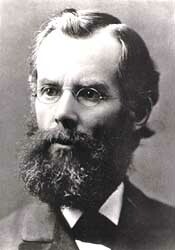 Born in New York state, and raised from age 10 in Michigan, Merritt Cornell early believed the advent message, and dedicated his life to preaching it. 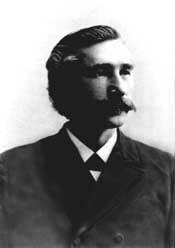 In 1852 he was shown and believed the Sabbath truth, and immediately began sharing it with others, J. P. Kellogg and Cornell's father-in-law, Henry Lyon, being among the first persons he met. Both accepted the Bible evidence for the seventh day sacredness. 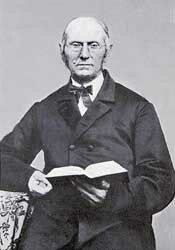 With J. N. Loughborough during 1854 in Battle Creek he held the first Sabbatarian Adventist tent meetings. He continued to be active in evangelism, working at various times with Hiram Case, James White, J. H. Waggoner, R. J. Lawrence, D. M. Canright, and J. O. Corliss. His wife, Angeline, assisted him in evangelism. He traveled from Maine to California and to several states in the South, defending Seventh-day Adventist views of scripture in public debate, holding evangelistic meetings, and writing articles and news items about his experiences for the Review and Herald. Like Peter of old, he was headstrong and had other serious character faults, with which the Lord labored with him, sending messages through Ellen White. For some 13 years, from 1876 to 1889 he was not connected with the organized work, but continued some free-lance preaching for part of that time. In 1886 Ellen White wrote that he was "a deeply repenting man, humbled in the dust." For the last three years of his life, he was again in the ministry. O. R. L. Crosier was a Millerite preacher and editor, from Canandiagua, New York. He collaborated with Hiram Edson and Dr. F. B. Hahn in publishing a small Millerite paper, the Day-Dawn. He was with Edson on the morning after the great disappointment on October 22, 1844. Edson received an inspiration from God which explained that the Millerites’ error was not in the date, but in the event; that Jesus had begun His work as High Priest in the most holy place in Heaven. Crosier, Edson, and Hahn joined together to study the subject, and Crosier was selected to write out their findings on the subject of the sanctuary and its cleansing. After studying at Brown University in Rhode Island, Charles Fitch began his ministry in the Congregational Church at Abington, Connecticut. 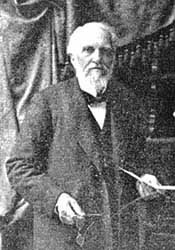 In March of 1838 Fitch wrote William Miller stating that he had read Miller's Lectures and did not doubt the correctness of his views. For approximately three and a half years, he held back from preaching the Millerite message. 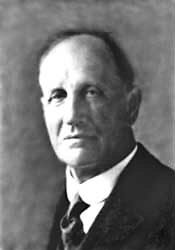 Eventually, because he preached the doctrine of "holiness" and was exhorted not to do so, Fitch felt it necessary to separate from the established church. This separation caused him to be less influenced by the fear of man regarding the Millerite understanding of the advent. Another of Haskell's "firsts" was the organization of the first SDA church of African Americans in New York City (1902). He led in temperance work in Maine (1911), began printing books for the blind (1912), and assisted in the development of the White Memorial Hospital (1916). His written works include The Story of Daniel the Prophet, The Story of the Seer of Patmos, and The Cross and Its Shadow. William Miller had a strong religious background, but he became attached to the wrong "crowd". His friends set aside the Bible and had vague ideas about God and His personality. When Miller was thirty-four years of age he became dissatisfied with his views. The Holy Spirit impressed his heart, and he turned to the study of the Word of God. He found in Christ the answer to all his needs. His study led him to the great prophecies that pointed to the first and to the second advent of our Lord. The time prophecies interested him, particularly the prophecies of Daniel and The Revelation. In the year 1818, as a result of his study of the prophecies of Daniel 8 and 9, he came to the conclusion that Christ would come some time in the year 1843 or 1844. He hesitated until 1831 before he began to announce his findings. From his first public service we may mark the beginnings of the Advent movement in North America. In the months and years that followed, roughly 100,000 persons came to believe in the imminence of Christ’s second coming. Following the great disappointment of 1844, Miller lived for several years. He fell asleep in Christ in 1849. A small chapel stands near his home in Low Hampton, New York, built by Miller before he died. In spite of his misunderstanding of the event that was to transpire in 1844, God used him to awaken the world to the nearness of the end and to prepare sinners for the time of judgment. 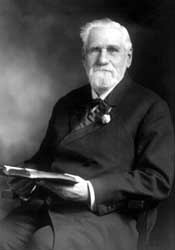 T. M. Preble was a Freewill Baptist minister of New Hampshire, and Millerite preacher. He accepted the Sabbath in the middle of 1844 (perhaps from Mrs. Rachel Oakes or someone else in Washington, New Hampshire). He was the first Adventist to advocate the Sabbath in print. His article in the Hope of Israel (an Adventist periodical of Portland, Maine) of February 28, 1845, was reprinted in tract form in March under the title Tract, Showing That the Seventh Day Should Be Observed As the Sabbath. 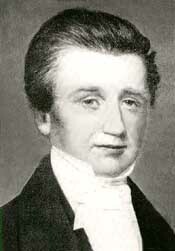 This introduced the seventh-day Sabbath to Joseph Bates, who later wrote his own tract on the Sabbath. But Preble observed the seventh day only until the middle of 1847. In later years he wrote against the Sabbath in the World's Crisis (an Advent Christian paper) and in his book First-Day Sabbath. In December 1852, Uriah Smith accepted the message taught by the Sabbath-keeping Adventist and soon was associated with the publishing interests of the believers in Rochester, New York. For about a half century he was the editor or on the editorial staff of the church paper, the Review and Herald. 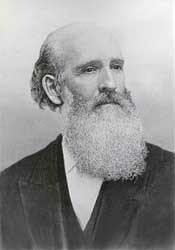 Smith was the first Secretary of the General Conference starting in 1863. He is best known for his book, The Prophecies of Daniel and the Revelation. He was the first Bible teacher at Battle Creek College. Elder Smith was often seen limping down the streets of Battle Creek with his cane and artificial limb, for he had suffered an amputation as a teenage boy. And let us attend to our business.’"
Smith was a man who was on the march. Though he was busy with the Lord’s business and he wanted others to be about theirs, he was a gracious and tender-hearted man. Born in New Hampshire, George Storrs was converted and joined the Congregational Church at the age of 19. He felt called to preach, and joined the Methodist ministry in 1825 through the influence of a godly Methodist minister. He preached much about slavery, even being arrested in 1835 while praying for the slaves during an antislavery society meeting. He was set free after a trial. In 1837 he studied what the Bible had to say about the state of the dead after reading a tract on the subject. His conclusions led him to leave the Methodist church. In 1842 he published six sermons he had given on the topic. The same year he heard the Advent message, and began preaching the soon coming of Christ, distributing copies of his "Six Sermons" as he preached. Charles Fitch wrote him January 25, 1844: "As you have long been fighting the Lord's battles alone, on the subject of the state of the dead, and of the final doom of the wicked, I write this to say, that I am at last, after much thought and prayer, and a full conviction of duty to God, prepared to take my stand by your side." 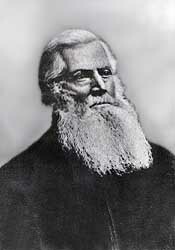 Storrs published a paper called "The Bible Examiner" from 1843 until he died in 1879. He did not accept the sanctuary message which explained the disappointment, nor the seventh-day Sabbath truth, but continued to believe the Bible teaching about the state of the dead. Ellen Harmon was born in Gorham, Maine. 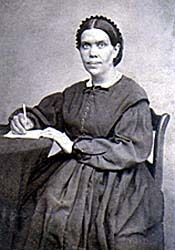 Ellen and her family first heard William Miller preach in 1840. She was converted at a Methodist camp meeting that same year, and was baptized two years later. In December of 1844, Ellen received her first vision, regarding the travels of the advent people to the city of God. The Lord called her to a life-long ministry as His messenger. She met James White in February 1845, marrying him in August of 1846. The early years of their marriage were marked with poverty, hard work, and poor health. In 1849 in response to a message from God through Ellen, James began a publishing work, beginning with the Present Truth. In addition to personal messages given her for specific people, Mrs. White received visions and dreams outlining the Bible truths for our time. She wrote extensively on topics as varied as the great controversy between Christ and Satan, healthful living, proper methods of education, and godly family relations. Out of these messages, the believers were led to begin schools, sanitariums, and publishing houses. She did the bulk of her writing during the last three decades of her life. During these years she labored particularly with others to bring the message of righteousness by faith in an end-time setting to the church, and then endeavored to contain the damage that ensued when this truth was rejected. Mrs. White's last years were spent living in California. Through times of apostasies and fires of judgment, the Lord continued to speak through her until the end, guiding, reproving, instructing the remnant church, ever pointing the sinner to Jesus and the cross, and sounding a clarion call to prepare to meet the Lord. In his youth James White was a school teacher. He later became a Christian minister in Maine. He accepted William Miller’s views on the second advent and was successful in preaching the doctrine of the soon coming of the Savior. He was a talented and capable executive, missionary leader, and powerful public evangelist. Not only did he participate with William Miller, Joseph Bates, and scores of other preachers in announcing the advent of our Lord near in the 1840’s, but he outlived the Millerite movement to become the first great apostle of the Seventh-day Adventist cause. White was the publisher of the first periodical issued by Seventh-day Adventists, Present Truth (1849); the first editor of the Review and Herald (1850), the Youth’s Instructor (1852), also the Signs of the Times (1874). 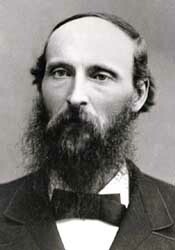 He was president of the General Conference between 1865-1967, 1869-1871, and 1874-1880. If there was a founder of the Review and Herald Publishing Association, it was James White along with his wife, Ellen. He was the sponsor and promoter of the Pacific Press Publishing Association. He died August 6, 1881, when he was only sixty. He literally worked himself to death. The brethren leaned on him so heavily that his towering figure fell. His sixty years of life were spent unselfishly and sacrificially. No other Seventh-day Adventist minister did more than he to build high principle and efficiency into the life of our churches and institutions. In 1888, these two men stirred the General Conference session in Minneapolis with their preaching on righteousness by faith. For several years thereafter, they preached on that subject from coast to coast. Ellen White accompanied them on many occasions. She saw in Jones’ presentations of "the precious subject of faith and the righteousness of Christ...a flood of light" (EGW 1888 Materials, p. 291).